I have a terrible confession to make: for all the cruises I’ve taken to places around the globe, I’ve never been on one of Carnival Cruise Lines’ ‘Fun Ships.’ Thankfully, that’s about to change this February when I set sail aboard their latest-and-greatest, the sleek Carnival Breeze. Carnival Breeze sails into the Caribbean sunset. Photo courtesy of Carnival. 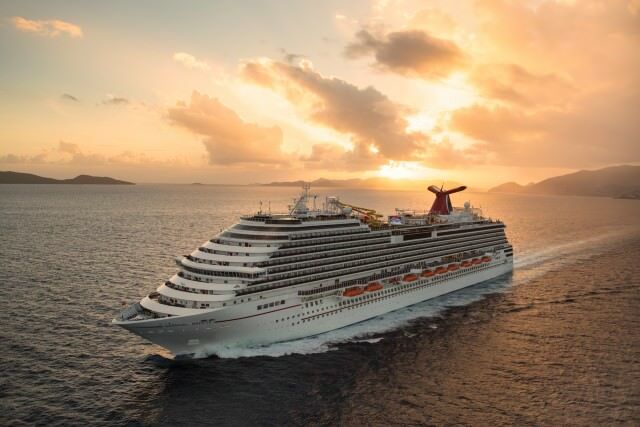 This sailing will also give me plenty of time to check out Carnival’s new Fun Ship 2.0 features, which have proven to be so successful that a quick Google search reveals hundreds of threads on message boards from guests looking to ensure their favorite Carnival ship has the RedFrog Rum Bar or the line’s new BlueIguana Cantina. Part of a USD500-million fleet enhancement program, Carnival Breeze came direct from Italy’s Fincantieri shipyards with all of the Fun Ship 2.0 initiatives already in place. Chief among these are several high-profile brand partnerships that, frankly, are pretty darn cool. The Food Network’s Guy Fieri leads the way with the new casual Guy’s Burger Joint venue, while comedian George Lopez has been appointed as the line’s comedy director, introducing The Punchliner Comedy Club that features high-quality comics performing for your evening pleasure. There’s certainly going to be no shortage of things to do, both onboard and ashore. 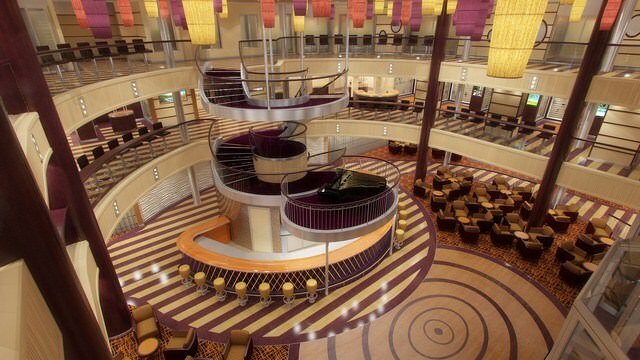 The spectacular Atrium aboard Carnival Breeze reflects the new color palette chosen for this innovative ship. Rendering courtesy of Carnival. Unlike Carnival’s past ships Carnival Breeze is full of graceful surfaces, rounded corners and aesthetically pleasing decks that cascade up and down both fore and aft. In the past, the line’s exterior design could have been characterized as sharp, harsh and angular. 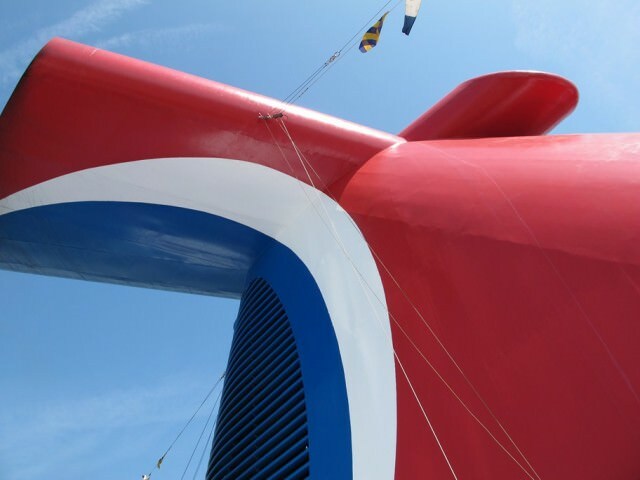 There’s nothing wrong with that, but I absolutely love the Zuiderdam-esque shape of Carnival Breeze’s forward decks and Navigation Bridge and her rounded, tapered stern. First impressions do matter, and Carnival Breeze is a striking one at that. 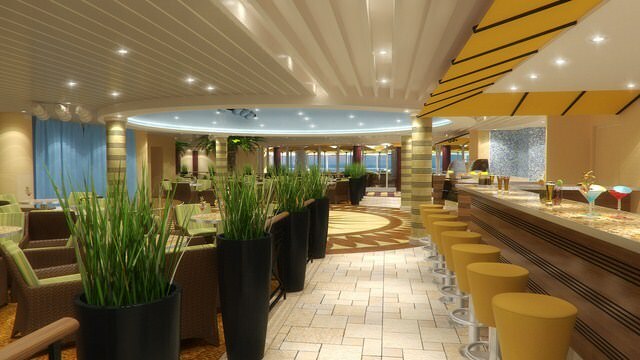 Inside, Carnival Breeze reflects a more mature, modern Carnival. That’s not to say there’s no fun, vibrant interior design – there is – but the days of non-stop-neon and reflective mirrors at every turn are a thing of the past. Kick back and relax in the inviting Ocean Plaza aboard Carnival Breeze. Rendering courtesy of Carnival. 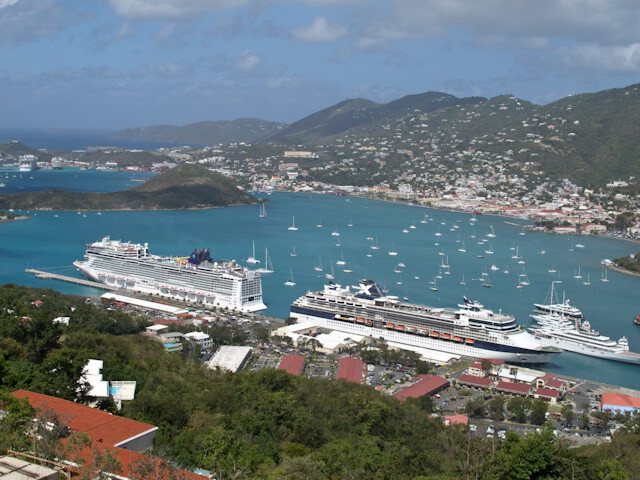 Recently, Carnival has become something of a whipping boy for the media, as news outlets at every turn seemingly wait to see how long it will take the line to blink. But these same organizations are grossly underestimating the company: this is a line that has been around since its founding in 1972 by Ted Arison. They carry millions of guests every single year, just as they have for the past four decades. 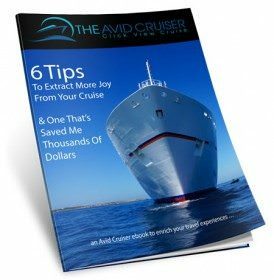 And while they’ve had their misshaps in the past, you don’t get to be the world’s most recognizable cruise line by alienating your guests or delivering a bad product. Personally, I’m looking forward to seeing how that product compares with that offered by other mainstream lines. Carnival has long been known for having some of the most spacious staterooms in the mainstream industry – not to mention comfortable beds and bedding – and Cruise Director John Heald has done a superb job of championing some of the line’s greatest successes, like the new amenities and Fun Ship 2.0 upgrades that seem to be an enormous hit with the line’s guests. 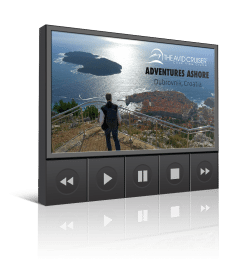 What will Carnival Breeze be like? Only time will tell – but I do know I haven’t been this excited about a Caribbean sailing in a long time!